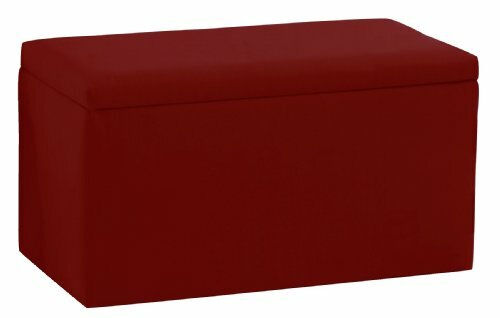 This upholstered storage bench adds style to your child's room or playroom. It is perfect for the storage of books, blankets, and toys, and it looks great when placed at the end of a bed or anywhere where additional seating or storage is needed. Hand crafted and upholstered in the US, this bench has a solid wood frame, It is offered in many different colors that complement the upholstered headboards and beds. Easy assembly required. Spot clean only. If you have any questions about this product by Skyline Furniture, contact us by completing and submitting the form below. If you are looking for a specif part number, please include it with your message.